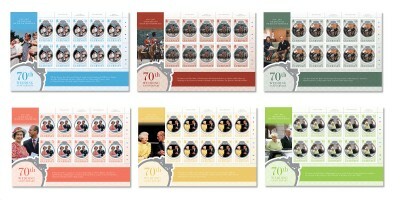 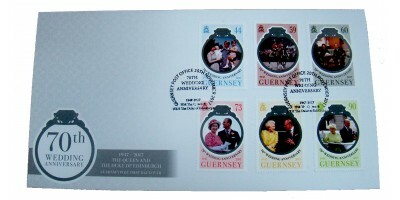 44p - Family at Clarence House 195159p - The Forces, Trooping of the Colour 196560p - Home Balmoral Castle 197673p - Travel, Silver Jubilee tour, Fiji 197780p - Events, 'A celebration of Nova Scotia' ..
Commemorate First Day Cover with the cancel date - 20th November 2017, the 70th wedding anniversary date of HM The Queen and HRH The Duke of EdinburghThis product is only available until the end of th..
On the 20th November 2017, Her Majesty The Queen and His Royal Highness The Duke of Edinburgh celebrate their platinum wedding anniversary marking a milestone 70 years of marriage. 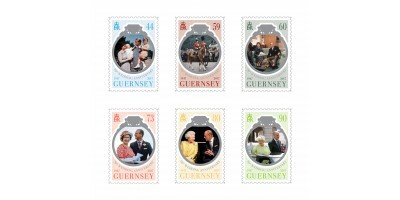 They have supported one another through many royal duties, and have welcomed four children, eight grandchildren and five great-grandchildren into the world. 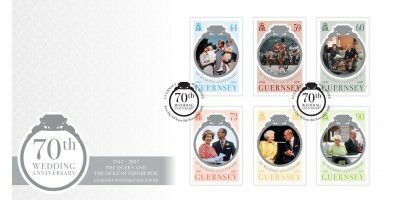 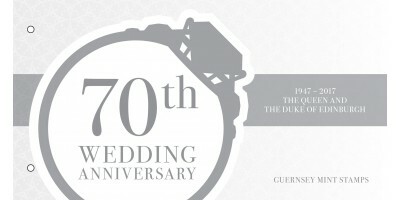 Guernsey Post is honoured to commemorate this wonderful occasion by depicting images that capture key elements of their life together over the decades.